Fresh and racy, yet powerful and deep. 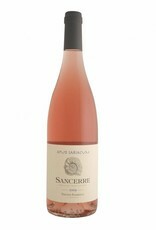 This is a Pinot Noir rosé packed with red fruits and wild herbs underneath. Meaty strawberry lingers on the palate.